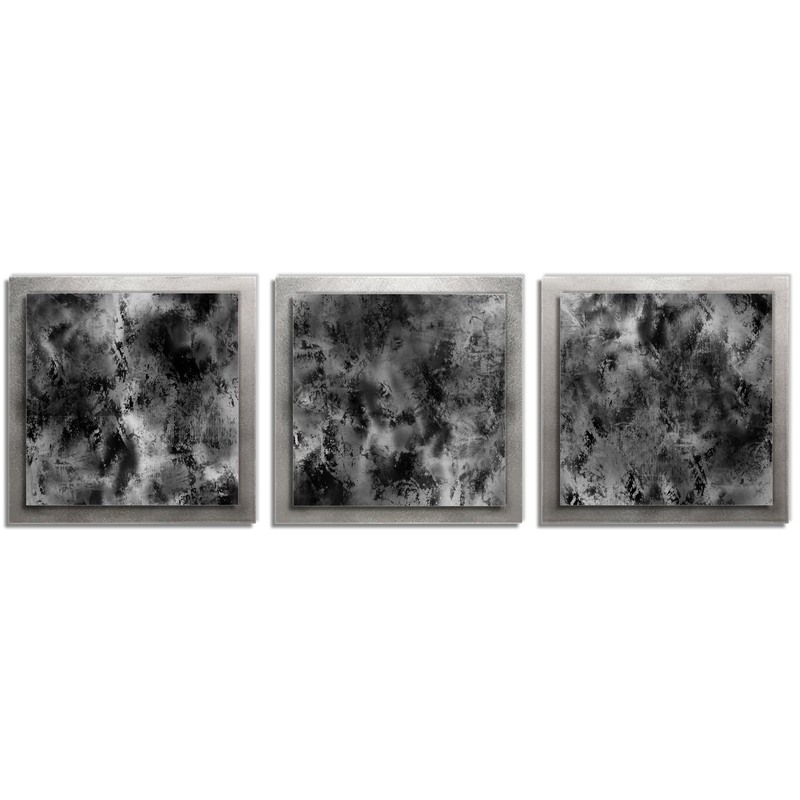 Slate Essence is an ultra-modern monochromatic art piece. The multilayer and multi-panel combinations create sculptural depth and intriguing shadowing, giving this contemporary wall Decor an added element that is missing from typical flat wall art. The set-back, rear layer has a grind pattern texture applied to create an interesting framed backdrop. The raised front layers feature exciting black and grey accent tones. The dark satin matte front layers in the piece contrast by the bright sheen of the swirling metal mount. This artistic steel sculpture is a great piece that will work great with modern or minimalist themed Decor.